If you're looking for some tips on how to best redeem your IHG Rewards, check out our IHG Sweet Spots. 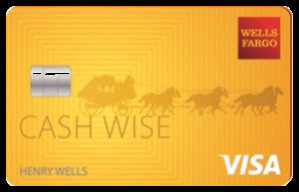 The IHG® Rewards Club Premier Credit Card is one of two new IHG co-brand cards from Chase, replacing the discontinued IHG® Rewards Club Select Credit Card. The IHG Rewards Premier Card is a mid-tier hotel rewards card sporting an $89 annual fee and featuring a welcome offer of up to 120,000 bonus points, an anniversary free night award, 4th night free on award stays, and complimentary Platinum Elite status. Replacing a card that has been a mainstay of the U.S. points and miles scene since its release, the IHG Rewards Premier Card has big shoes to fill if Chase and IHG want the card to retain a position as a cornerstone rewards card. The IHG Rewards Premier Card offers up to 120,000 bonus points - Earn 80,000 bonus points after spending $2,000 on purchases within the first three months of account opening plus an additional 40,000 bonus points after spending a total of $5,000 on purchases within 6 months of account opening. While up to 120,000 bonus points may appear to be a higher than average signup bonus when compared to other cards on the market, IHG Rewards Club points don’t hold the same value as other points. In fact, most folks redeem IHG points for 0.5/0.6¢ per point, rather than the 1.5¢ to 2¢ for Ultimate Rewards, making the welcome bonus worth roughly $400 depending on how you value IHG points. The IHG Rewards Premier Card receives a higher earn rate on IHG purchases than its predecessor, earning a solid 10x points per $1 spent when you stay at any IHG property. You’ll receive 2x points per dollar on purchases from gas stations, grocery stores, and restaurants, and just 1 point per dollar on all other purchases. While the earn rate has gone up from the 5x points featured on the old IHG Rewards Card, the lack of additional high-value bonus categories means the only purchase you would realistically use this card for is IHG Hotel spend, as you’d get better returns on the 2x bonus categories using a 2% cash back card. The bad news for IHG fans is the devaluation of the free night certificate awarded on your card’s account anniversary. Up until the release of the new IHG cards, the anniversary free night was valid at any participating IHG hotel. Following recent changes, however, the certificate is limited to properties pricing at 40,000 points or less. IHG has put together a website listing the hotels excluded from the free night certificate. At this stage, it includes roughly 200 of IHG’s 5,300+ hotels worldwide. The free night certificate must be booked and the stay competed within 12 months of being issued. A fresh perk offered on both of IHG’s new rewards cards; cardholders receive the fourth night free on all award bookings of four or more consecutive nights. Rather than averaging the cost of four nights and offering the savings as a rebate, the IHG fourth night free is included complimentary at the time of booking the room, so you’ll only require enough points for three nights in your account to take advantage of this benefit. When combined with the ability to purchase IHG points at a 20% discount (see below), you can reduce the cost of buying points well under the level required to be profitable. IHG elite status doesn’t offer the same value as top hotel rewards programs, but Platinum Elite status does entitle members to a 50% bonus on top of base points and complimentary room upgrades when available, plus a few other perks. Cardholders receive Platinum status for as long as they hold the card. If you already hold a card that offers a Global Entry/TSA Pre Credit, this benefit likely won’t peak your interest, although you can gift the credit to a family member by charging their fee to your card. The IHG Rewards Premier Card receives a Global Entry credit, up to $100 in value, every four years. The discount allows you to purchase IHG Rewards Club points at a 20% discount. Searching the T&C’s, there is no language preventing cardmembers from stacking this discount with other savings when IHG points are already on sale, which opens up some exciting possibilities. IHG regularly runs promos allowing you to buy points with up to a 100% bonus, which reduces the cost of points down to 0.5¢ each. Stack the 20% discount as an IHG Rewards Premier Card cardholder, and you’ll reduce the cost of points down to 0.4¢ per piece. Stack both discounts/bonuses with the 4th-night free benefit, and you’ll receive a further 25% off the cost of an award, reducing the effective cost of purchased points down to 0.3¢ per point. Decreasing the cost well under the value you’d typically receive from IHG Rewards Club points. It’s yet to be seen if members that hold both the old and new cards can stack the fourth night free received on the new cards with the 10% rebate on points from the superseded IHG card. Outside of Chase’s published application restrictions (and those we’ve pieced together), recent data points indicate the IHG Rewards Premier Card is now subject to the 5/24 policy, meaning you want be approved for the card if you've opened 5+ cards in the previous 24 months. It also looks like current cardholders of the IHG Rewards Card aren't restricted from applying for the new IHG co-brand cards, opening up the possibility of receiving two anniversary free night certificates each year. It’s tough to lose the unrestricted free night offered on the old IHG card, with an annual fee of just $49. But the new IHG Rewards Premier Card offers plenty of value for IHG loyalists, and there’s still enough value in the 40K point anniversary free night to cover the $89 annual fee. If you factor in the ability to buy points at a 20% discount, stacked with the fourth night free on award bookings, the card offers the potential for some seriously cheap stays at IHG properties. 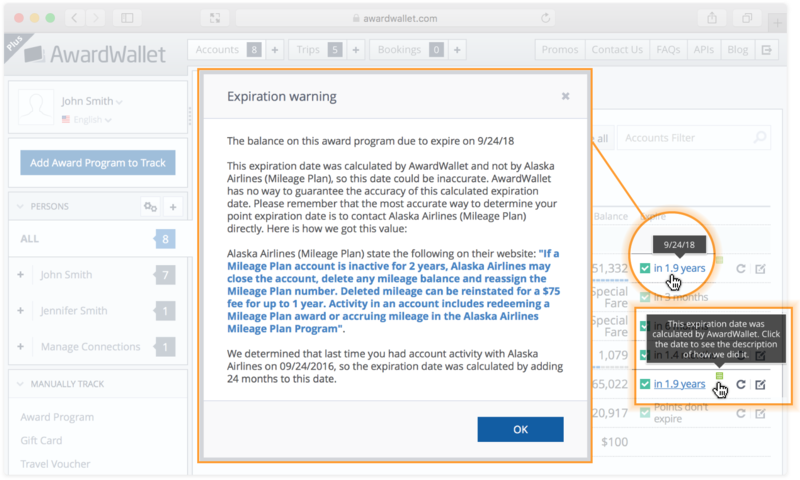 Did you know that when you click the expiration date next to your account, AwardWallet will give you a detailed description of how that date was calculated? Expiration dates calculated by AwardWallet have a special icon to let you know that we did the math for you. As of now, your current card will stay at $49 and nothing will change (other than the limitation now imposed on the annual night certificate). Chase my convert this product or provide you an option to convert to another product at some point but we don’t have details on their plans. To get the 80k bonus, you’d need to open a new card account for the IHG Premier card and then you would have two different IHG credit cards, which is perfectly fine. It’s hard to beat the old IHG card but the new one, while not as good, is pretty good. The two big questions for me are, will the stacking of 4th night and 10% back be an option. And will IHG ultimately allow guests to upgrade the free night by making up the point difference from 40K to, say, 50K by adding 10K of their own points. I have the current IHG credit card. I may get the new card as last year I had two award stays of four nights. sti;;.free points are free if they don’t displace a better offer. I have not gotten any notice on my old card account. Will I lose my benefits and annual fee level? Or, like the Chase United, will I keep what I had? As of now, nothing changes. If anything is going to change, Chase will let you know. I read elsewhere that some people report of chase shutting down their accounts. Is there any truth to this? Would this be related to opening another IHG card if you already have an existing of a a previous version? Chase shutting down an account or accounts would be on a case by case basis — you’d need to know the exact circumstances of that individual. The likelihood of anything being solely related to getting one of the new IHG cards while holding the previous IHG Select card is highly unlikely. Good rewards as far as I can see, IHG cards by creation are soon to be dispensed by the looks of it in Europe. I already am pining for the value of the soon to be discontinued card. 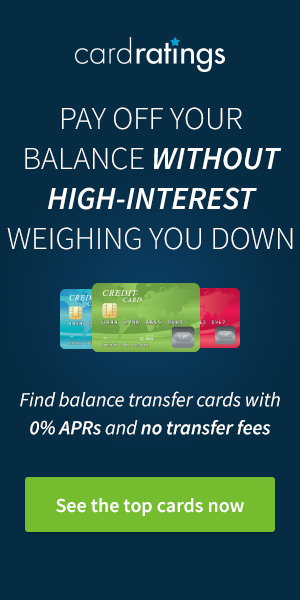 It’s a meh card – annual fee not waived. 80k bonus only enough for one night at their top-tier and better tier properties. I hit IHG gold status and so far it’s been pretty useless. Are the higher tiers better? Gold is useless when anyone with a credit card gets instant Platinum. Honestly though, IHG status isn’t particularly valuable, but it is better than no status. Thanks. I’m keeping my old card in spite of devaluation because I’m stuck by Chase’s 5-24 rule and can’t trade f a better card I want. The 4th night free is good, but I rarely stay 4 consecutive IHG nights *on points*; that’s why the 10% back on redeemed points with the old version was better for me. The best part about the new Premier card is still the annual free night. For a couple that both get the Premier, and keep the old Select card, that would be 4 free nights per year. I agree that the fourth night free would be great, if you use it. Like the previous poster, I almost never stay 4 nights in the same place. I currently greatly value the 10 percent back of reward points that I get from the current card. I also want to get under the 5/24 so I can get the Freedom Unlimited so I’ll pass on this one. 10 points per dollar at IHG hotels is pretty good. Not really happy with the devaluation of the annual free night for the older IHG card ($49 fee) I don’t think the changes make much sense as it was only for 1 night and not like 3-4 nights. Why fix something that wasn’t broken? LOL. Well something was broken — the numbers clearly didn’t make sense for IHG/Chase/Hotels in question! Absolutely. Points don’t expire for any IHG elites — a nice perk. This card has decent benefits in itself, but elite benefits with IHG are very poor at all levels. A better way to not upset people is to increase the AF instead of devaluating the annual free nights. Appreciate the old IHG card benefits but may consider trying out the new one too. Yea, okay card and good for a sign up bonus. Anyone have insight on whether this is an offer that will resurface again, or improve? Anyone with such an insight wouldn’t be able to say. Thanks for the reminder, I used your link and was approved for this Premier card at $89. I’m keeping the original IHG $49/yr card too..
IHG Premier’s free nt, 100K bonus for $3K spend as well as the possibility to earn another 10K points bonus after spending $20K is fantastic. Best Western MC $10K=diamond elite status – great for road trips. Chase United removed their spend perk and its my least fav CC now but i keep to fly United for the free bag. It is your account anniversary date, which is 1 year from when your card account was opened each year. Customer support can tell you the exact date. Are Kimpton Hotels included in the IHG rewards program? I’ve heard different answers to this question. Thanks. I think I will apply and see what happens, even though I have the old card. 2 free nights sounds good for a weekend getaway. I think this is a great card. Ihg has many locations and the anniversary night with no foreign transaction fee make it a perfect card to have for a traveler. IHG hotels are expensive to book with points, unless you snag a pointbreak hotel. But I think the card is worth it, even if just for the sign up bonus and free anniversary night. The $89 annual fee more than pays for itself with the anniversary night. On another note. The free Global Entry perk may seem like a nice perk, however unless you are traveling with only carry on, whatever time you save at immigration, you spend waiting for your luggage. This has consistently been my experience at various airports. Thanks for the write up. I think I will add this as my second IHG card after I get to 5/24 – using the free nights together in a weekend will be much easier to pull off at a good value than a single night from my current card.